Big Sunday and more than 1,000 volunteers and participants from across Southern California will gather to work and play together at one of the USA's largest Halloween community service events Big Sunday's 9th Annual Spooky Sunday on October 28 at the Big Sunday headquarters, 6111 Melrose Ave., Los Angeles, CA 90038, from 2 p.m. – 4 p.m.
A number of local nonprofits and their families will be hosted at this very popular and fun annual event designed to bring Halloween to children in high-risk environments. Big Sunday hopes to give the children and their families, (many of whom might not otherwise get a similar opportunity), a chance to enjoy the fun and festive holiday of Halloween with the community. "These days the world can be a scary place. This year I'm looking forward to Big Sunday's Spooky Sunday more than ever, because it's a place where people of all ages and all backgrounds, from all over town, can come together to enjoy Halloween, enjoy a ton of candy, and enjoy one another," David Levinson, Big Sunday's Founder and Executive Director, said. Alexandria House - A transitional residence providing safe and supportive housing for women and children in the process of moving from emergency shelter to permanent housing. Door of Hope – The organization's mission is to equip families and children experiencing homelessness to rebuild their lives. Unlike most homeless service organizations where families are separated, the Door of Hope program keeps the family unit together as they work towards their end goal of achieving permanent housing. Eastern Los Angeles Regional Center – ELARC is a private, non-profit organization under contract with the California Department of Developmental Services. ELARC is one of 21 Regional Centers in the state, coordinating and providing community-based services to individuals with developmental disabilities. Exceptional Children's Foundation - Provides the highest quality services for children and adults who are challenged with developmental, learning, and emotional disabilities - empowering them to reach their greatest potential. First to Serve - Provides transitional housing, medical, and supportive services to homeless men, women and children in South Los Angeles, and promotes family reunification, and support efforts to assist families in remaining intact. Home-SAFE - Serves at-risk children from families below the poverty line. I Have A Dream Foundation Los Angeles - IHADLA works to break generational poverty by providing individualized academic, emotional and experiential support to young people in L.A.'s underserved communities from first grade through high school and transitioning into college. Imagine LA – Empowers families to transition from homelessness to self-sufficiency. KEEN L.A. - Empowers youth with disabilities by providing free, non-competitive one-to-one programs of exercise, fitness and fun, led by volunteer coaches. 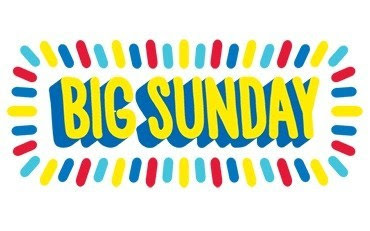 Big Sunday (bigsunday.org), now celebrating its 20th anniversary, has been connecting people with opportunities to help, volunteer and give back together since 1999. Recognized nationally, Big Sunday is one of the USA's premiere resources for helping year-round. Big Sunday functions as an efficient and impactful clearing-house of volunteerism and community engagement, organizing and facilitating numerous programs and a host of unique ways for people of every age, background and means to volunteer and/or give, making it easy for diverse people to participate in good workstogether to support the huge variety of causes that they care about. The organization works as a resource that unites, hosts, and is connected with hundreds of individuals, families and communities. Big Sunday was started in Los Angeles and has hosted projects in more than 10 states as well as Australia and the United Kingdom. Each year, Big Sunday engages, empowers and brings together tens of thousands of volunteers from every walk of life. Big Sunday's mission is to connect people and build community via helping. Founded in Los Angeles 20 years ago by David Levinson with just 300 volunteers, the organization has now completed in excess of 1 million volunteer man-hours, and over 6,000 volunteer projects worth several million dollars in donated in-kind goods and services, and skilled and unskilled labor costs. Big Sunday is driven by the belief that absolutely everyone has some way that they can help someone else. Big Sunday events and programs have become more popular than ever, as people search for a way to focus on what we share in common and to celebrate Big Sunday's belief that we are all in it together. Big Sunday was named by the Points of Light Foundationas one of "10 national nonprofits that are making a tremendous impact on our country's most critical challenges by mobilizing volunteers…These organizations also demonstrate a collaborative spirit through partnerships with other organizations to help strengthen communities across the nation."